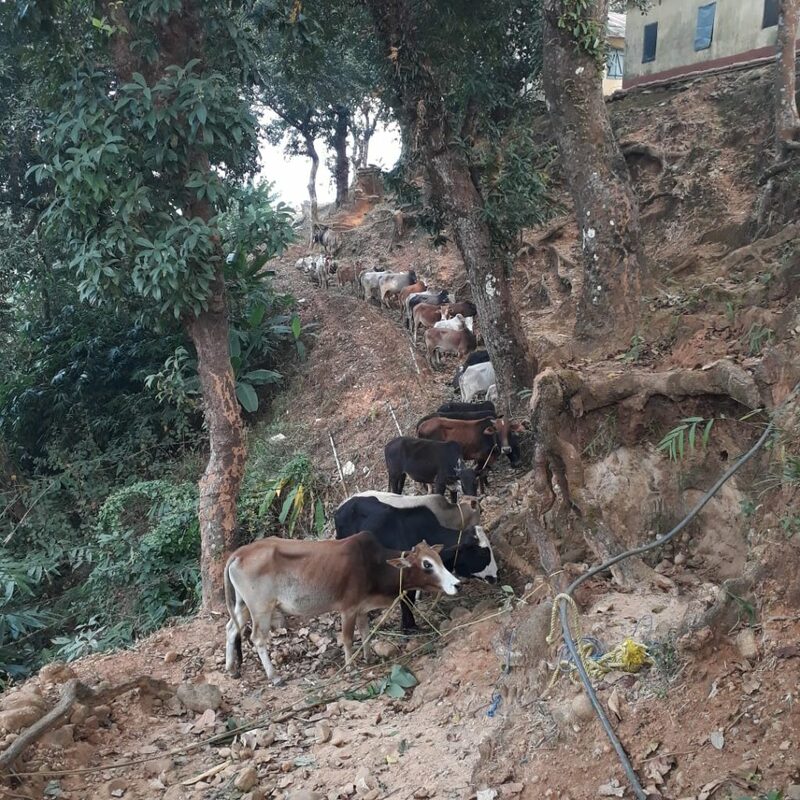 The Border Security Force (BSF) troops have apprehended seven smugglers along with 29 cattle heads from the Indo-Bangla border in South Garo Hills District of Meghalaya on Saturday. 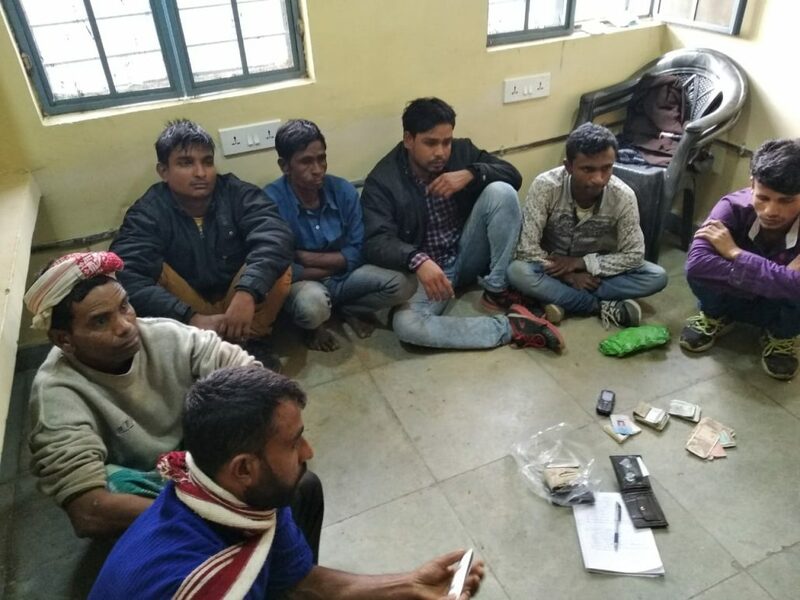 The smugglers have been identified as Joynal Abedin (29), Ajijul Haque (32), Shohidul Islam (22), Sanowar Hossain (24), Mohiruddin Ali (23), Intaj Ali Fakir (48) and Fajal Haque (37). All of them are from Assam. Besides, four Bolero Max pickups (AS 18 C 9037, AS 18 C 8791, AS 25 C 9531 and AS 18 C 7926) with 29 cattle worth more than Rs four lakh, and some Indian currency were recovered from them. The special ambush party intercepted the seven persons who were travelling in these four vehicles while they were trying to smuggle cattle on the hill road of Baghmara to Phanda. According to BSF, a large number of cattle were seized in recent times but now the BSF is facing a lot of problems to keep unclaimed cattle in border outposts due to court order on disposal of cattle. It seems cattle smugglers have emboldened after this and making their dare attempts to smuggle cattle from India to Bangladesh. Meanwhile, the BSF said that it has stepped up its special drive against the smugglers and intensified its operations along the Indo-Bangladesh border to prevent nefarious design of trans-border criminal to maintain tranquility in bordering areas of Meghalaya. BSF has also alerted its troops keeping in view the forthcoming general elections in Bangladesh. The apprehended persons were handed over to the concern department for further legal action.